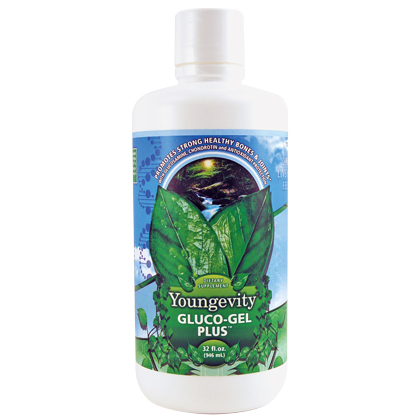 Gluco Gel PLUS is an all-in-one combination of super antioxidants mangosteen and Aai, with 2,000 mg of glucosamine and chondroitin it helps support healthy bones, muscles and joints. Eat Gluco PLUS Gel along with a nutritious diet and adequate physical training for a long and healthy life! WARNING: If you are pregnant, nursing or taking medication, consult your professional before using this medical device. This product contains an ingredient derived from shellfish. SUGGESTED USE: Adults, take one fluid ounce per day, per 100 pounds of body weight.